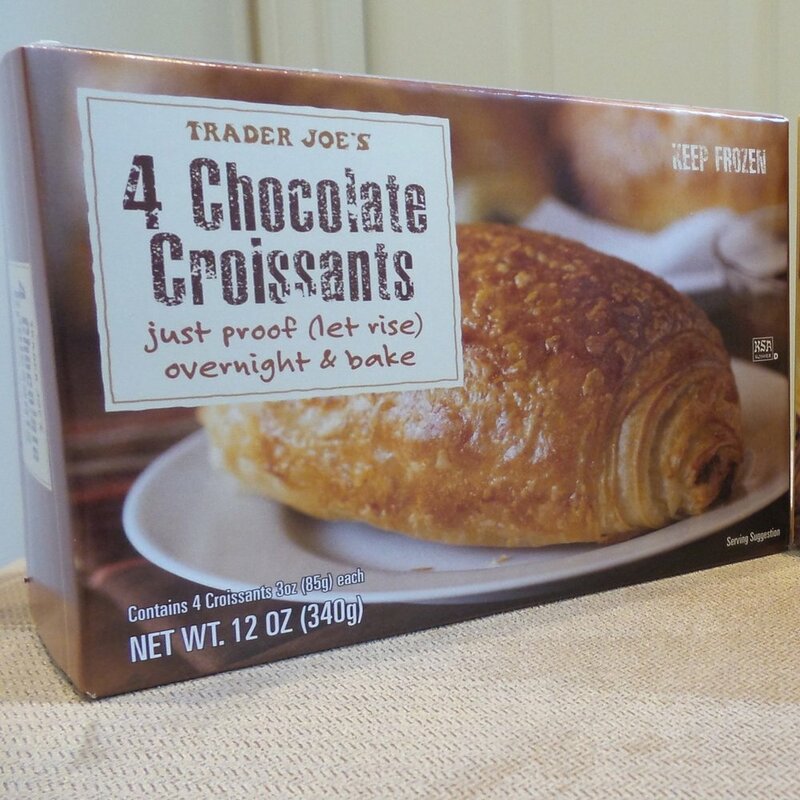 Trader Joe's Croissants — I Am Tired of Cooking! When I bite into a flaky, airy chocolate croissant from Trader Joe's, the picture that I see in my mind is of a French pastry chef (with the likeness of Captain Kirk), inside bakery Nelly Julien in Paris. Using a French accent, chef Kirk directs Scotty to place a warm chocolate croissant onto the transporter platform and then orders Scotty to "energize" the croissant directly to my kitchen. No kidding! They are that good! The key to enjoying these wonderful croissants is to remember to take them out the night before. The directions on the chocolate croissants call for allowing 9 hours to rise and the almond croissant directions call for 6 to 7 hours, but I just take them both out around 10 or 11 pm the night before and pop them in the oven whenever I wake up the next morning. We usually enjoy these on Sunday mornings when wake up time is whenever we open our eyes. 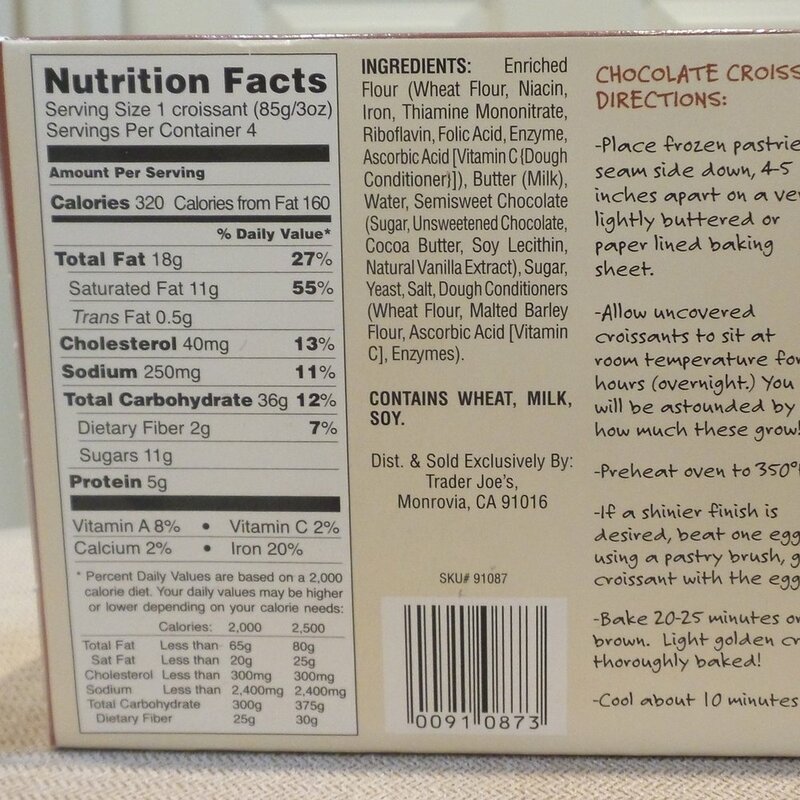 The egg wash is an option listed for the chocolate croissants, but I only add it if I am going to be making eggs in the morning too. 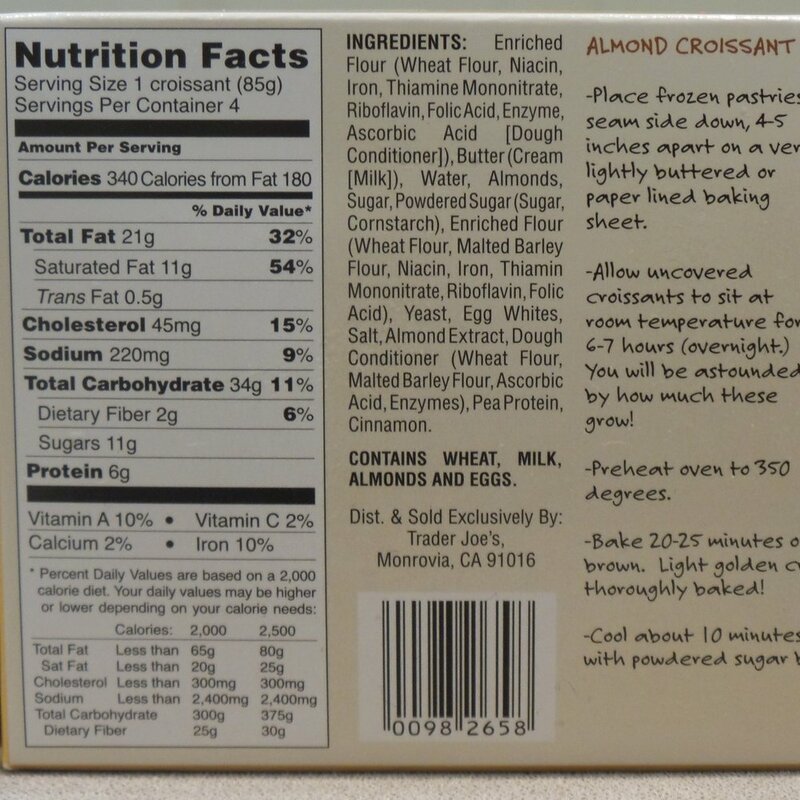 I think the egg wash is not listed as an option for the almond croissants because Trader Joe's suggests that they be dusted with powder sugar, thus covering the shiny finish the egg wash gives the croissant, making it pointless. If I put an egg wash on the almond croissant, I will omit the powder sugar, it just depends on what I feel like doing. The almond croissants can stand on their own without the powdered sugar, but a light dusting does make them look pretty. The croissants are located in the frozen food section at Trader Joe's and they will last for several months in your freezer. The cost is $4.49 per box, way cheaper than a ticket to Paris! Enjoy!